GM, Government Motors sold just 603 GM Volts in January. Are you serious? The pathetic 603 sales as caused GM to abandoned its sales target of 45,000 for 2012. YA THINK!!! GM might also want to fire the idiot who ever thought that 45K was even a viable target. As it is, GM only sold about 7,700 in 2011, far below it’s target of 10,000. What else would we expect from an Obama bailed out “green” car program? General Motors extended-range electric Chevrolet Volt had its worst sales month since August, as negative publicity over fire risks hurt vehicles sales in January. GM sold just 603 Volts – above its sales in January 2011, but far below GM’s best-ever sales month in December, when GM sold 1,529 Volts. Last week, GM North America President Mark Reuss said sales of the Volt have been hurt by bad publicity. Reuss said bad publicity from the government’s investigation into fire risks of post-crash Volts is “definitely a component” of the decline in sales. Bad PR? Seriously? That tends to happen when cars catch on fire and you recall them. Let’s face it, there is no demand for this pricey car. More from Powerline on the “Revolting” Volt. Nice. is going down in flames as well. Yeah I’m going to feel sorry for them because the bad publicity they got over their flawed vehicle. Look what the government did to Toyota because a bunch of idiots were to lazy to put their floor matts in correctly. Something we used to be able to just take our heel and pull back when it got bunched up now requires a safety restraint system to avoid a lawsuit. Unbelievable! Since Obamacare presupposes that the government has the right to force every citizen to purchase a product, i.e. 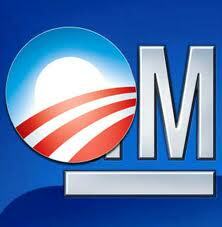 health insurance, maybe they are going to require that each of us purchase a GM Volt. The unions would love it and vote for Obama. Well, they will vote for him anyway. bad idea, just like Obama was a bad idea for our country. There are reasons the electric Golf Cart, which has been around 70 years, never made it as a form of transportation on the interstate. We have the technology for high mileage gas and diesel engines. The technology is being used in other countries. Ethanol too is successful in other countries. The obstacle in the USA… Government regulation, the E.P.A., special interest groups, etc.